China is planning a supercomputer 1,000 times more powerful than its groundbreaking Tianhe-1A within two years as it faces rising demand for next-generation computing. The National Supercomputer Centre in Tianjin will release a prototype in 2017 or 2018 of an “exascale” computer – one capable of at least a billion billion calculations per second, Meng Xiangfei, head of the applications department, said on Friday. Exascale computing is considered the next frontier in the development of supercomputers and it would represent a significant achievement in computer engineering. Tianhe-1A was recognised as the world’s fastest computing system in 2010. Though it has since been superseded by Tianhe-2, Tianhe-1A is being more widely used. Computer scientists are finding it challenging to run contemporary applications at their optimum on faster supercomputers. 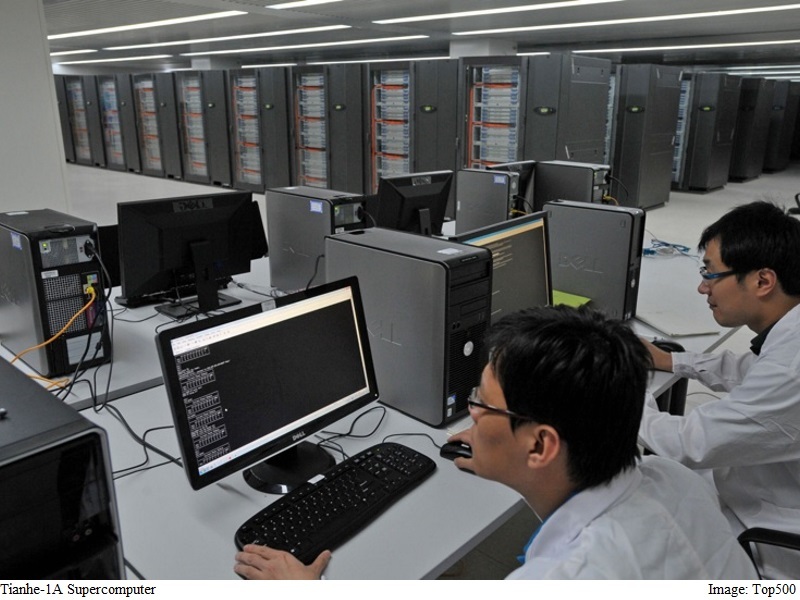 With its uses including oil exploration data management, animation and video effects, biomedical data processing and high-end equipment manufacturing, Tianhe-1A’s capacity is being stretched, Meng was quoted as saying by state-run Xinhua news agency. It is carrying out more than 1,400 computing tasks and serving about 1,000 users per day. The exascale computer will be wholly independently developed by the National Supercomputer Centre, according to Meng. About a seventh of Tianhe-1A’s CPU chips are Chinese.